Arlington’s hole card was Turnpike Stadium, a 10,000-seat park which had been built in 1965 to house the AA Dallas-Fort Worth Spurs of the Texas League. However, it had been built to Major League specifications and also located in a natural bowl, meaning only minor excavations would be necessary to expand the park to accommodate Major League crowds. After Vandergriff offered a multimillion-dollar down payment, Short decided to make the move to Arlington. 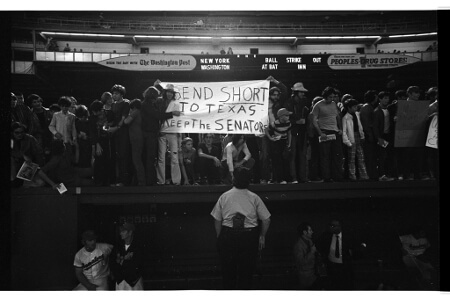 On September 21, 1971, by a vote of 10 to 2 (the Orioles’ Jerold Hoffberger and John Allyn of the Chicago White Sox registered the dissenting votes), American League owners granted approval to move the franchise to Arlington, Texas for the 1972 season.